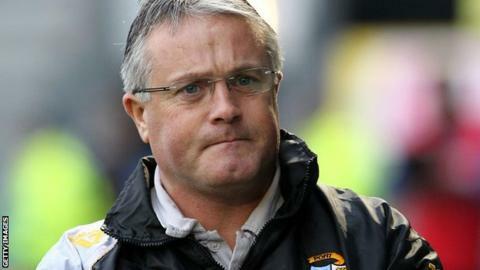 Port Vale boss Micky Adams is planning to tie up the long-term future of his players before the end of the season, in a bid to avoid a repeat of last year's summer of contract confusion. Vale's drawn-out takeover, coupled with nine months in administration, gave Adams a difficult summer. And he told BBC Radio Stoke: "I don't want another summer like last year. "People think we get to the end for the season and that's my job finished but, in reality, it is only just starting." Vale's off-field problems led to them reaching 30 June with only three players under contract. And, although prospects look a lot rosier for the club now since Paul Wildes completed his takeover in November, Adams has not forgotten last year's off-field frustrations. "A lot of players took the option of talking to other clubs," recalled Adams. "We were left waiting on a number of players to commit their future to the club and it was a really frustrating time. "At one stage I thought I'd lost a lot of them." But it is now a different story for Adams. And, with his reshaped side still sitting pretty on top of League Two, looking nailed on for automatic promotion, last week's signing of 25-goal top scorer Tom Pope, League Two's leading marksman, on a new two-and-a-half year contract, is a clear sign of intent at Vale Park. "The next process is to sit down and talk to players we want to keep beyond this season and we've started that process with Tom," said Adams. "A lot of players have got two years anyway so we haven't got to worry about them. "But we'll be attracting attention from other clubs. "Some may see it as an opportunity to strengthen their case in terms of negotiating new contracts, either here or somewhere else, but we won't know that until we sit down and talk to them. "It's something I've not been able to do before but now, with the new owners coming in, I'm going to hold talks with players out of contract in the summer over the coming weeks. "I want to be talking to players before the end of the season, so I can have a break this time."